You Deserve More is an evolving multimedia installation that reflects my interest in humanity’s evolving relationship with the screen. Screens flourish in contemporary society, presenting an endless stream of images that increasingly mediate our relationships with one another and the environment. Screens help fuel consumer culture by hosting bright advertisements that instill feelings of lack while also promising to provide gratification. With the advent of liquid-crystal displays and high-definition resolution, screens display representations of the world that may seem more vibrant and desirable than are our natural surroundings. 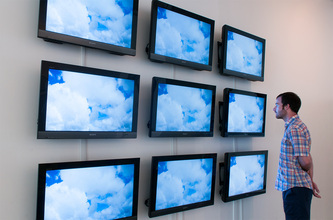 The installation includes several Sony Bravia televisions similar to those found in many modern households. 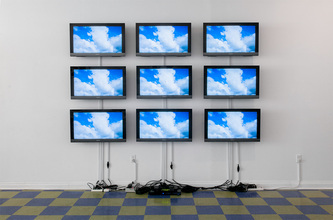 Each high-definition screen displays a cliché image of a hyperreal sky with clouds, a reference to the stock imagery that was used to advertise the televisions. 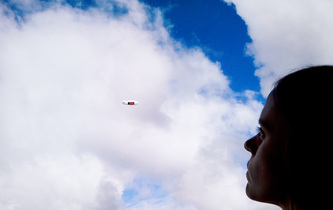 An animated photograph of a toy blimp interrupts the idyllic sky incessantly flashing slogans appropriated from well-known advertising campaigns. 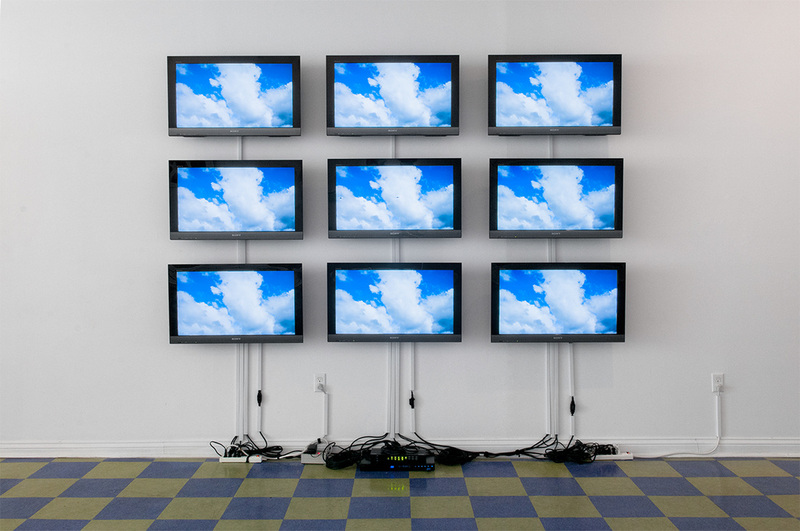 By surrounding viewers with sublime imagery and repetitive messages such as “Help yourself to happiness!” “Enjoy!” or “What you want is what you get!,” the screens encourage consumption while alluding to the possibility of fulfillment.